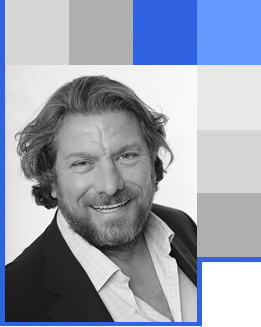 With an impressive career spanning over 30 years, Neil Grinnall is a dedicated and focused property developer, with vast experience both within the UK and abroad. His trademark projects are based around ambitious urban regeneration combined with trendy city living. Now leading Mayfair Estates, Neil has been at the helm of many prestigious developments, both residential and commercial, attracting blue chip tenants (Tesco, Boots, Sainsburys) and high worth individuals. Neil forged his career by owning and directing many projects throughout Worcestershire and the Midlands ; key projects included the development of the retired Royal Worcester Porcelain Albion Mill and the Grade ll listed Kay's Catalogue sites, and Hadzor Hall in Droitwich, into luxury residential properties. He also pioneered Worcester's canalside living trend with two impressive apartment schemes at Diglis Canal Basin. Following on from this UK success, Neil was based abroad from 2006, with interests spanning across nine countries, building in excess of 2000 units a year. Neil returned to the UK to continue and add to his portfolio of major developments; the investment agreement with Mayfair Estates facilitated this plan. Neil's unparalleled success is due to determination, sheer hard work, and a natural ability to make his visions become reality. He has forged good relationships with city councillors and planners, and with key players within the property development sector. Neil thrives on competition, instilled from an early age - he was a GB swimming champion at the age of 17, and then went on to become a competitive boxer, before a character-building first job working in the tough environment of oil rigs, including surviving the fated Piper Alpha disaster. Of his genuine passion for the industry, Neil says - "I enjoy building a product that will be there for the rest of my life and I love working with a team of people who are my peers. We buy and develop land in a way that others might have thought impossible, and I am always seeking out new opportunities. Our portfolio is varied from houses in the country to city apartments, but the luxurious nature of the product is the common theme throughout."